Prepaid cards may look a lot like credit cards, but don’t let that Visa, Mastercard or American Express logo fool you into thinking it’s a credit card or acts similarly to a credit card. Yes, you can use a prepaid card anywhere its network is accepted, but, because you’re not using credit, you’re not building credit as you swipe. Here’s everything you need to know about prepaid cards. Prepaid cards have become increasingly popular in recent years among consumers who can’t qualify for a traditional checking account or credit card, but want the convenience the plastic payment method provides. They’re also popular among people looking to put hard limits on their spending, including parents teaching children about money or people with debt woes. There are some drawbacks to prepaid cards, however, that are important to note if you’re considering them as your payment method of choice. Let’s break down the pros and cons of prepaid cards. What Are the Downsides of Prepaid Cards? There are limits to what you can do with a prepaid card. For instance, you may not be able to use one to hold a car rental or hotel reservation. Fees — often applied for opening the card, keeping the account, loading money or using it for purchases — vary but they can be high. A prepaid card is generally more costly to use than, for example, an ATM card or checking account. Plus, though the Consumer Financial Protection Bureau (CFPB) strengthened consumer protections around prepaid cards in 2016, they still carry less consumer protections than credit cards, particularly when it comes to fraudulent transactions. Because prepaid cards aren’t credit cards, the issuer doesn’t report your history to the three major credit reporting agencies — Equifax, TransUnion and Experian. Therefore, using a prepaid card won’t affect your credit score — for better or worse. You can’t use the prepaid card to build credit as you would with a credit card or, more pointedly, a secured credit card. A secured credit card sounds similar to a prepaid card: You’re required to put down a security deposit to secure your credit limit, but otherwise functions like an unsecured credit card. Though underwriting standards are generally low, secured credit card issuers still pull your credit when you apply for the card. Once approved, you’ll make monthly payments on your purchases, using new funds, not your deposit. Those payments generally get reported to the credit bureaus. In other words, if you hear the words “prepaid credit card” thrown around, a person is likely referring to or thinking of a secured credit card. You can learn everything you need to know about secured credit cards here. What Are the Upsides of Prepaid Cards? On the upside, there’s no need to make a deposit that’s held by the bank, as you would with a secured credit card. A prepaid card can be used just like a check, and it’s more convenient. There are no interest charges and you typically can’t default or overspend on a prepaid card as you might a credit card. If you’ve reached the limit of your funds, your charge will likely be rejected unless you’re using a type of prepaid card that allows overdrafts or the prepaid card issuer allows you to go over your credit limit. (Make sure you review the fine print of any card you’re considering so you know all the terms and conditions.) Managed carefully, a prepaid card lets you avoid debt and finance charges that a traditional credit card charges. There’s no need for a credit check for this type of card. No matter how bad — or non-existent — your credit is, if you have cash to load onto a prepaid card, you can probably get one and use it in place of a credit card or debit card. When Is a Prepaid Card Right for Me? You want to save for a special occasion: Load up a card with money you’ve saved for a trip or a shopping spree. 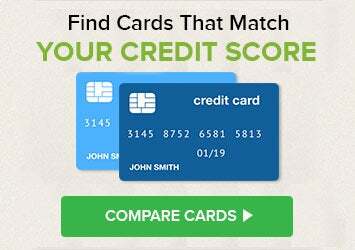 You’ll find a variety of offers for prepaid cards using Credit.com’s credit card search tool. Keep in mind, the fees for a prepaid card can be steep. It’s important to read all the fine print carefully on card offers. Compare any fees involved, including monthly maintenance fees, activation fees and ATM use fees. If you use a card that lets you spend more than you’ve deposited, you could incur hefty overdraft fees, so make sure you’re aware of what this entails. As with all payment methods, some prepaid cards offer better terms than others. When vetting a prepaid card, you’ll want to pay particular attention to fee structures and usage restrictions. Some of the better prepaid cards out there let you bypass monthly fees with direct deposit, grant access to ATMs you can use for free and provide plenty of cost-effective reload options. Some many even offer rewards. The American Express Serve Cash Back prepaid card, for instance, lets cardholders earn 1% cash back on each dollar you spend. It charges a $5.95 monthly fee (not incurred in New York, Texas and Vermont). You can learn more about the best prepaid cards here. Should I Check My Credit Before I Apply? Even though a credit check typically is not needed to obtain a prepaid card, it’s still a good idea to know what your credit score is. You can use Credit.com’s free credit report snapshot, along with two free credit scores, to see where you stand. Learning your credit scores before applying can help you if you do discover you have credit and/or choose to apply for a credit card instead. Once you know how your credit fares, you can apply only for cards you’re likely to qualify for, helping you avoid having an application rejected. At publishing time, the American Express Serve Cash Back prepaid card is offered through Credit.com product pages, and Credit.com is compensated if our users apply and ultimately sign up for this card. However, this relationship does not result in any preferential editorial treatment. This content is not provided by the card issuer(s). Any opinions expressed are those of Credit.com alone, and have not been reviewed, approved or otherwise endorsed by the issuer(s).